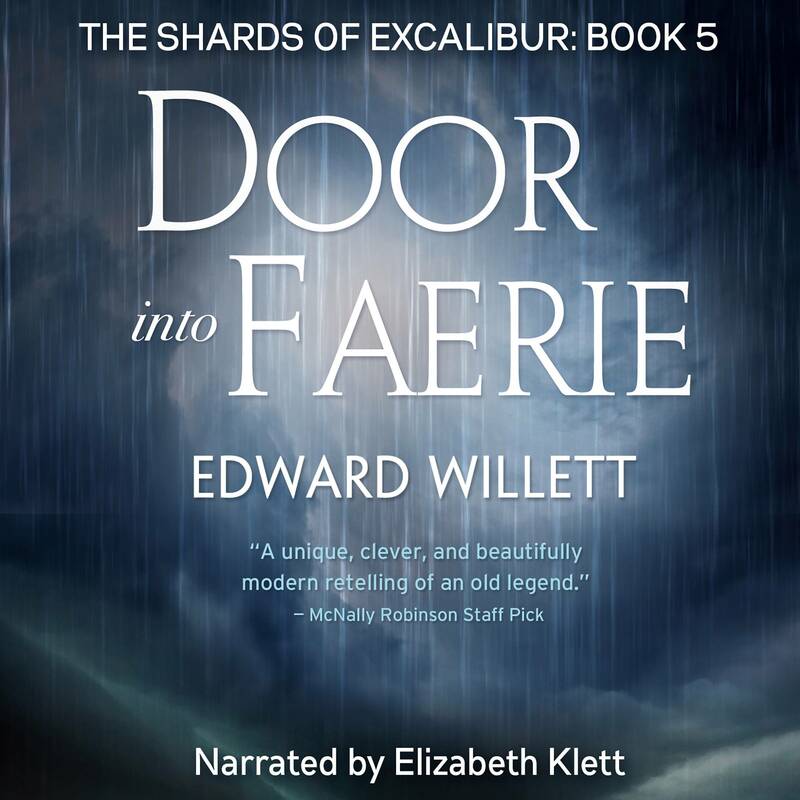 Cover art for the audiobook version of Door Into Faerie, Book 5 of The Shards of Excalibur series. The Shards of Excalibur series tells the story of Ariane Forsythe and Wally Knight, two Regina teens who are sent on a quest for the scattered shards of King Arthur’s legendary sword Excalibur by none other than the Lady of the Lake. The Lady shows up in Regina’s Wascana Lake and informs Ariane that she is heir to the Lady’s power to travel through and manipulate fresh water, and tells her that she and Wally, who “happens” (though it turns out there was less chance about it than it seems) to be with her when she encounters the Lady, must find the sword’s scattered pieces before Merlin can. Merlin, in his modern guise as computer magnate Rex Major, wants to reassemble the sword and use its power to take over our world and then launch an invasion into his own world of Faerie, from which he has long been exiled, using Earth’s modern weaponry to conquer it. The quest takes Ariane and Wally all over the world, but they always end up back in Saskatchewan. It’s full of real Saskatchewan (and other Canadian) places, and I had blast writing it. Two of the books, Twist of the Blade (Book 2) and Door Into Faerie, where shortlisted for Best Young Adult Novel at the Aurora Awards. 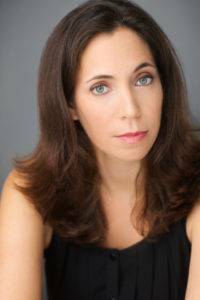 The audiobooks are narrated by the talented Elizabeth Klett (that’s her at left), whose voices and accents are spot-on (I especially love her Wally). I was incredibly lucky to find someone who could such an amazing job. Check out all the many other books she’s narrated, as well! For anyone interested in reviewing the books, I have a limited number of download codes available from Audible.com. Email me! You can, of course, still buy the books in print. Autographed copies are available from my online store!